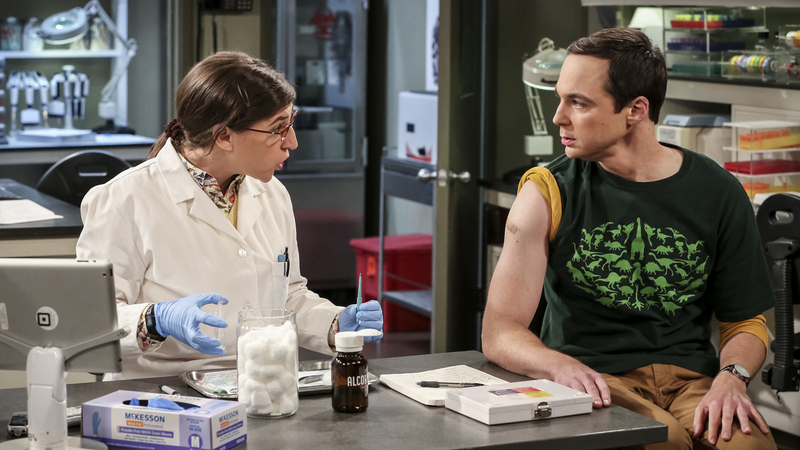 Sheldon hates needles, which comes as no surprise. After a successful lab experiment combining their genes, Sheldon decides he will stop at nothing to convince Amy they should procreate. Meanwhile, Raj is embarrassed to tell his friends that the new woman he's interested in is, in fact, a cleaning lady on the next all-new episode of The Big Bang Theory entitled "The Brain Bowl Incubation."